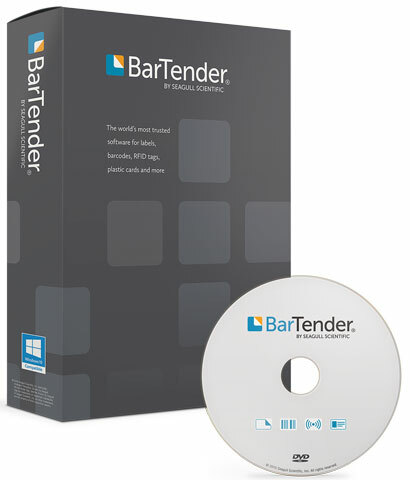 Organizations around the world trust BarTender to help them meet evolving industry regulations and practices, with its ease of deployment and secure, configurable technology. Sometimes in a controlled environment you can tweak exposure settings which may help. This is something that has to be done under the hood – nothing in the manual on this. But for it to have any affect, you need controlled/consistent lighting, which is not something you find in a warehouse. Check out our 2D barcode scanner selection or contact one of our representatives for assistance on your scanning solution. Lindsay Thurber Comprehensive High School, part of the Red Deer Public School District, was looking for a cost effective way to check items in and out of the library and bookstore. Additionally, the school wanted to use the same scanner in a different part of their school to track the attendance of their students by scanning the barcode off of their students’ ID cards. Most importantly, they wanted something that was compatible with their existing management and tracking software. Barcodes, Inc. recommended the AirTrack S1 for both their check-in/check-out and attendance tracking applications. The S1 is a great linear imager that offers versatile barcode scanning and is equipped with green spot technology for good-read feedback. Barcodes supplied Red Deer Public School District with a demo device to test the compatibility with their software. They were more than pleased with the compatibility and performance of the AirTrack scanner. Furthermore, they were impressed to have a great reference with the University of Notre Dame Hesburgh Library. The school district is already working with Barcodes, Inc. on a new project to implement barcode scanners into their ACORN fee management system, which will involve more AirTrack barcode scanners. For more information on AirTrack or our full complement of solutions, call one of our representatives. The Bellevue Manufacturing Company specializes in manufacturing automobile parts, such as bumpers, luggage carriers, gasoline gauges and windshield wipers. Over time they have expanded into manufacturing new and innovative products while opening new facilities across North America. Delivering their products hinges on the company flawlessly executing its manufacturing as well as its shipping, receiving, and inventory control operations. Bellevue Manufacturing was opening new facilities and needed a barcode software that could take advantage of a centralized template storage with revision control, as well as integrate with their existing ERP system. Lastly, because of their multiple locations, they wanted a software that could be licensed per printer and still communicate over IP. Their operations team is heavily dependent on the ability to design and print various label designs and place the barcode labels on the correct items. Bellevue Manufacturing also required a reliable, compact and light industrial barcode printer that made it easy for the user to replace printheads and platen rollers. Due to the various label sizes, they also needed something that supported broad media compatibility. Having the right barcode printer and software combination was integral in increasing productivity and cutting down on wasted time while streamlining their warehouse management process. The Apple iPhone has become such a staple mobile device in the world today that it’s no wonder businesses are trying to put it to use in any application they can. When it comes to enterprise-level requirements, the iPhone does come up short on ruggedness and scanning capabilities though. Lucky for us, Honeywell’s Captuvo SL42 Series is the key to bringing consumer-grade iPhones into the enterprise. For organizations that want to extend the performance and longevity of the popular Apple iPhone device to increase productivity, better engage customers, and capture data to drive real-time decision making at the point of activity; Honeywell’s Captuvo SL42 Enterprise Sled for Apple iPhone 6/ iPhone 6 Plus is the perfect solution. The SL42 targets mobile frontline workers who require real-time connectivity to business-critical applications and superior barcode scanning performance to improve productivity and better serve customers whether on the floor, on the road, or in the field. Quickly and accurately focuses, illuminates, and reads hundreds of barcodes per shift, even when they’re damaged, poorly printed or on a mobile screen. Scans direct mark barcodes and other standard 2D barcodes, including AAMVA North American driver’s licenses and document – simply add optional TotalFreedom™ scanner software plug-ins. Rugged specifications extend the iPhone’s lifecycle and eliminate the more frequent replacements required for consumer devices alone. Extends your iPhone’s battery life so it can last a full shift and beyond. Designed for quick battery replacement, so you don’t lose valuable time taking care of customers. To get the most out of your scanner, having the latest firmware is key. Here is a quick and easy way to see what version of firmware you have on your Honeywell scanner and/or your scanner’s CCB (charge and communications base). Your scanner’s firmware number shows up as “Software Part Number”. See below results from a scan from a Granit 1911i. There is separate firmware for the scanner and its base. Latest firmware versions can be found on our external website on each scanner’s web page. You’ll have to drill down a bit, but it’s there. How to load new firmware onto a Xenon 1902g. You will need to update firmware for both the scanner and the charge/communication base. Save .MOC firmware files for both the charge/communication base and the scanner (two .MOC files) to your hard drive. You can get them from the scanner’s webpage – http://aidc.honeywell.com/en-US/Pages/Product.aspx?category=wireless-barcode-scanner&cat=HSM&pid=1902 – under the “Firmware” section. Connect your charge/communication base (with scanner inserted) to your computer via USB. Click “Connected Device”. See below. Select “Update Firmware”. See below. Note: If you use the version of EZConfig that sits on your PC, it may tell you that your scanner has the latest version of firmware when you actually don’t. Always check the scanner’s external webpage for the latest. Another Note: For Bluetooth Scanners – except for the Honeywell 8670 back-of-the-hand Bluetooth Scanner – you’ll need to update both the base (CCB) and the scanner’s firmware. lt’s always best to load the firmware on the scanner first then the CCB. The University of Notre Dame Hesburgh Library is the home to over 3.3 million volumes, amongst the top 75 collections within all U.S. research universities. It serves over 14,000 students, faculty, and staff and has a circulation of 329,511. The IT Systems Analyst for the library came to Barcodes, Inc. because their current barcode scanner did not scan barcodes well under the LED lights. Additionally, the clerks received no negative feedback when a barcode was unable to be read. Finally, the library staff wanted a barcode scanner that could be stationed throughout the campus libraries where students and employees can check books in and out as needed with their ID cards, which would ultimately create more space in certain areas of the library. 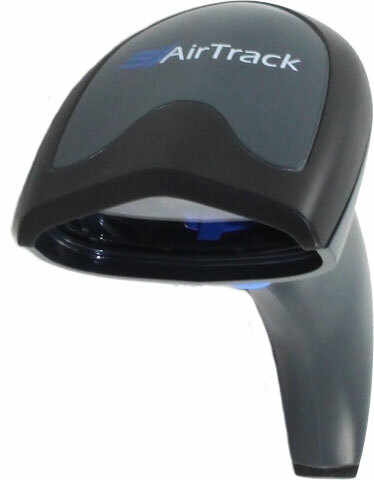 Barcodes, Inc. recommended the AirTrack S1 barcode scanner for their library. The S1 is equipped with 1D reading technology and Green Spot technology for good-read feedback. The Green Spot improves user performance by projecting a green spot directly on the bar code just read. This visual confirmation is perfect for applications where silent reading is preferred or in environments that are too noisy to hear the beep, such as a library. The University of Notre Dame has been pleased with the performance and uniqueness that AirTrack brings to the table. 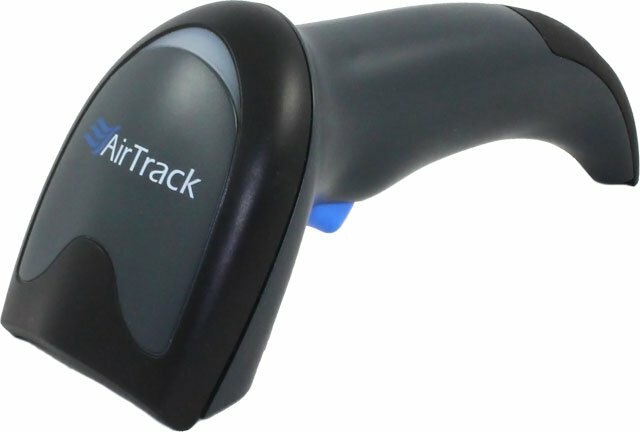 To learn more about the AirTrack S1 or our library barcode scanners, call one of our representatives. Honeywell’s new Duratran XL 4×6 labels offer you the opportunity to lower costs while increasing printing. Lower price per label. Less change over time. Less warehouse space. Lower shipping costs. More printing per roll. With 1500 labels/roll, there are 50% more labels/roll than a standard roll. The State of Louisiana reached out to Barcodes, Inc. in need of a way to track specimen samples for their Department of Health and Hospitals. Their biggest concern was that the labels on the specimen samples were not water resistant and the labels either eroded or the content on the labels became unreadable. They wanted a barcode printer to print low volume barcode labels on demand as needed. The State of Louisiana also needed a barcode reader to scan the barcodes off of the specimen samples. Barcodes, Inc. recommended the AirTrack DP-1 desktop barcode printer for their printing needs. The DP-1 is ideal for low-volume printing and locations with limited counter space. Additionally, Barcodes supplied the State of Louisiana with custom waterproof labels and the AirTrack S2 barcode scanners that were necessary to read 2D barcodes off of the specimen labels. The State of Louisiana has been so impressed with the AirTrack brand that is will be deploying the AirTrack IP-1 industrial printer to some of their high volume facilities. For more information on AirTrack barcoding devices call one of our representatives.